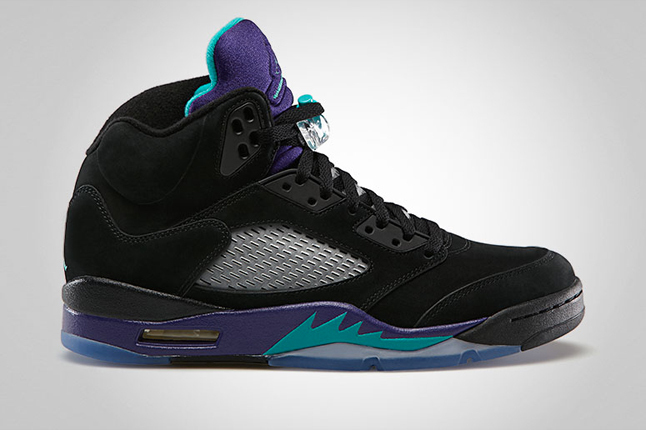 This Saturday (June 15, 2013) is the release of the Jordan V "Aqua" or "Black Grape". This is the first release of this colour way on this silhouette. A black nubuck sits on the "Grape" midsole and makes quite the combination. These will be for sale at about $200 and will once again be found at retailers such as Foot Locker and Momentum. 50 Cups of Coffee | Super Smash! Summer Sizzla!